On Thursday, Egypt’s National Press Authority “NPA” issued a warning to state-owned Horryati for its offensive cover slamming actors Khaled Abou El-Naga and Amr Waked and Singer Sherine. magazine from the market saying that it held a meeting with the CEO of the publishing house and the editor-in-chief of the magazine to make sure that they would avoid it in the future. 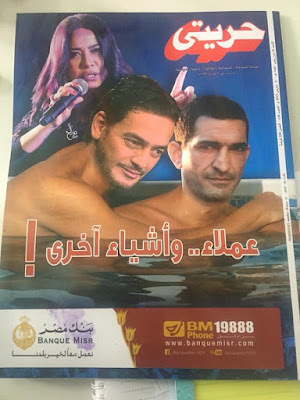 This week’s issue of Horryati magazine had on its cover actors and political dissidents Khaled Abou El-Naga and Amr Waked in a photoshopped photo as a couple hugging each other in a pool while popular singer Sherine in the back. “Agents and more”, said the cover slamming the two political activists and the popular singers. The cover created an uproar for its cheap attack on Abou El-Naga and Waked in an attempt to defame them. The Egyptian society is homophobic, it is a fact that no one can dispute and the magazine attempted to defame Abou El-Naga and Waked by showing them as gays aka “faggots”, not men …etc. The magazine thought that it could send a punch to the two award-winning actors especially Khaled Abu El-Naga who is known for its public support to the LBGTQ rights. It is the cheapest and disgusting thing I have seen recently. Cheap photoshop along with the cheap message. Saad Salim CEO of Tahrir publishing house which issues the magazine defended the cover saying that the cover represented “ a point of view” just like Op-eds but at the same time he said that it would not happen again. Needless to say, that cover does not shame Abou Naga or Waked or Sherine but rather shames the magazine which is actually struggling with its sales like any printed publication in Egypt as well as its publishing house. Knowing the process of the publishing and printing newspapers and magazines, we know that the cover had a green light to be like that but someone did not anticipate the backlash it would create. 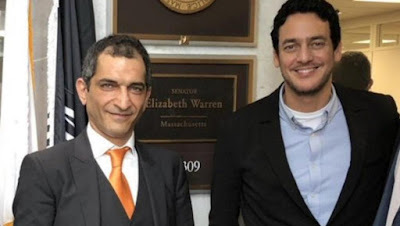 This is the latest episode in the series of attacks Amr Waked and Khaled Abou El-Naga have witnessed since their decision to go to the U.S Capitol to speak against current Sisi administration from two weeks ago. The two prominent actors already are banned from acting in Egypt by the actors syndicate as it withdrew their membership and their permits to act in the country accusing them of “high treason” because of their actions !! 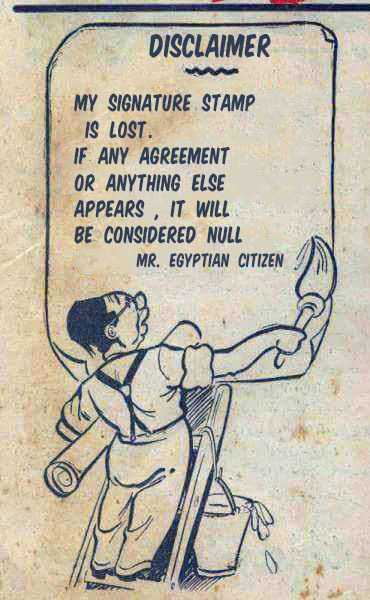 I am not a legal expert but the syndicate has no right to accuse any Egyptian citizen of “high treason”. It has no right in the same to expel its members from the syndicate without a proper investigation based on the known syndicates’ bylaws in Egypt according to unionists veterans. 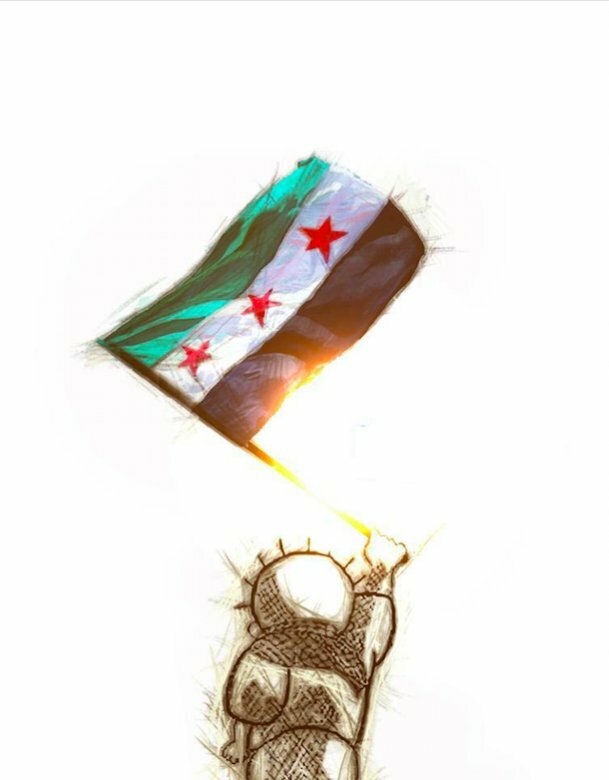 Waked and Abou El-Naga know very well the price of what pushing their activism to this level and they know that they may not return home soon. Waked and Abou El-Naga are currently facing a number of lawsuits and Dr. Samir Sabry, the famous lawyer has filed a motion to strip both actors of their Egyptian Nationality. 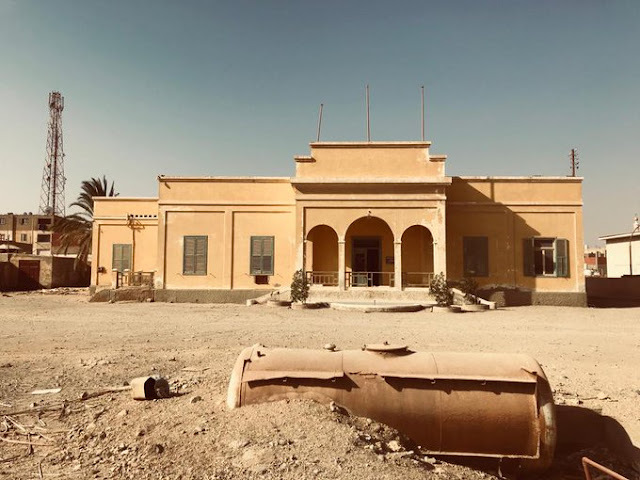 The prominent actors already established themselves as actors abroad, just like Omar El-Sherif who by the way was totally against the Nasser regime in the 1960s. I remember how I stumbled upon articles by accidents attacking El-Sherif describing as a traitor written by fellow actors in the magazines then. El-Sherif was not vocal or activist like Waked and Abou El-Naga, nor did he lobbied against Nasser in D.C but his views were well-known. Now in 2019, nobody remembered those articles or how the Nasser regime aka the State regarded him and Omar El-Sherif became an icon and a legend. 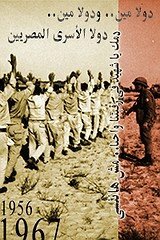 Issued in the mid-1990s, Horreyati magazine which means in Arabic “My Freedom is published by State-owned Dar El-Tahrir, yes El-Tahrir aka “Liberation”. Some irony. Since its launch, Horreyati magazine has got a very modest distribution and I assume it has got very low distribution nowadays just any other printing. I can’t find the online version of this issue on the magazine’s official website but I do not have to guess that that report attacking Abu Naga, Waked and Sherine will be just as pathetic as the op-eds and reports attacking them. Most of the reactions I have seen on social media networks rejected the cover. Even some of Pro-Sisi supporters saw that it was disgusting. There is a whole silver lining in the whole issue as it seems. Treason became a very easy word to use despite its horrifying and heavy meaning. There is a recent ongoing McCarthyism in Egypt that intensified recently in a sick way. I still have hope because McCarthyism failed in the end eventually in the United States. Another important issue, people will head abroad and speak as well lobby if you do not have nor are given a proper platform to explain their views freely without fear. Side note : I wonder what a Pro-Sisi like Sherine will feel when she is accused of being so-called “an agent” like that.